In July 2016, our academic partners at the University of Edinburgh, Scotland, will cut the ribbon on the Edinburgh Genome Foundry (EGF), an ambitious new robotic lab specializing in the assembly of large DNA fragments. EGF is being designed to accommodate academic and industrial customers from all over the world. Lab automation taking form at the new Edinburgh Genome Foundry. 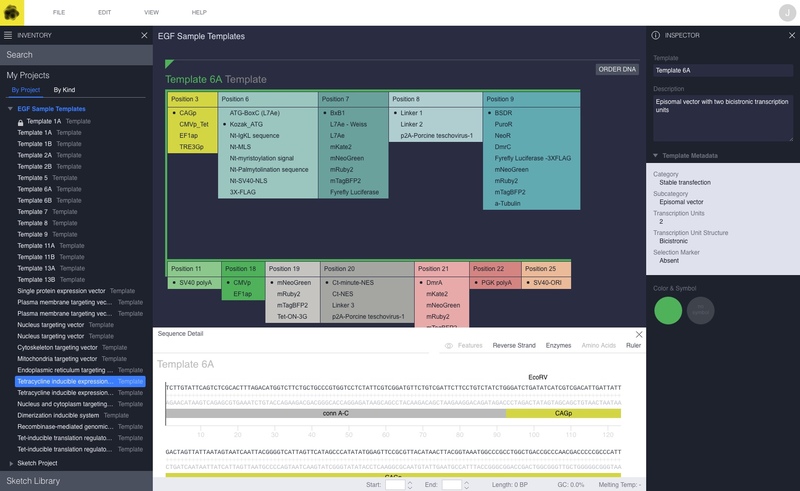 Autodesk Genetic Constructor, one of the newest software experiments we’re creating on the BioNano team at Autodesk Research, is the combinatorial design software front-end that scientists will use to specify and order DNA from EGF. To understand how we got here, you must first understand why the scientific community needs tools like Genetic Constructor. People who work in genetic design routinely use a collection of industrial and academic software tools that can be difficult to acquire, set up, learn and use. 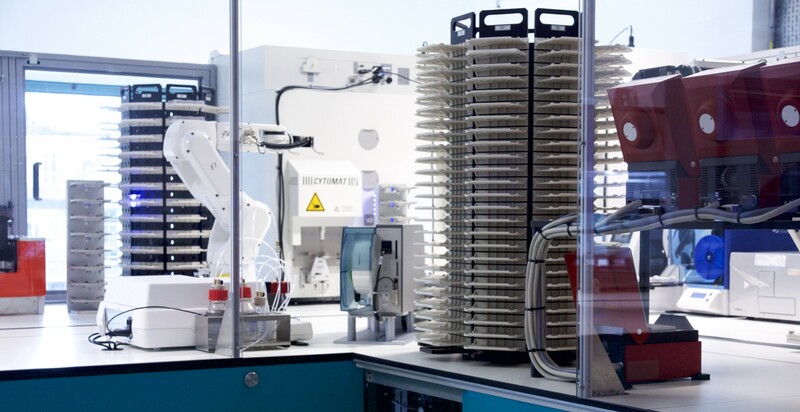 Many companies in the synthetic biology realm create bespoke industrial tools to achieve a commercial outcome for their specific biological applications as fast as possible. Secreted away behind the company firewall, usability problems can languish for years while the team focuses on features with a higher perceived influence on the bottom line. If and when it is brought to market, the cost of commercializing it can be high and, as a result, it is often priced such that only well-funded institutions and enterprise customers can afford to use it. Amyris Thumper: Industrial strength. You need a job at Amyris to use it! Software from academia, on the other hand, while commonly open source and freely available to all, can be brilliant, but also frustratingly narrow in focus and constrained by grant timelines. Beyond inception, some academic software is abandoned to the community to use, support, and, with luck, to evolve over time. Original authors often passionately defend their vision, but in many cases don’t have the time, resources or professional software development experience to move these projects to the next level. As new applications for the products of genetic design continue to emerge at a rapid pace, many academic projects are being successfully funded into tech startups. ApE (A plasmid Editor): The gold standard of free genetic sequence editors, and still hugely popular with many biologists. Whether born out of industry or academia, commercialization carries with it the seemingly obvious, but all-too-often overlooked requirement to bring utility, usability, and innovation to market. Most commercialization efforts benefit from robust functionality, expanded coverage of common workflows, better usability, and active support communities — all good things! But with regard to innovation, these are the same familiar design tools, supporting the well understood manufacturing techniques used to assemble genetic designs in the lab under manual processes. Benchling: Emblematic of a new generation of low level genetic design tools. The BioNano team at Autodesk Research is exploring what it means for Autodesk – a company known for creating the most sophisticated, mature, and commercially successful collection of professional design tools in virtually all macro scale domains – to now begin producing equally elegant solutions for the realm of biological design. What does “the future of making things” look like at the nano scale? When we sat down to imagine a new experience for genetic designers in the fall of 2015, we were impressed by the proliferation of slick new commercial tools for doing genetic design at the scale possible today: 30,000 base pairs and below. So we decided to zag, and instead shifted our gaze to a higher level problem — one a bit further off on the horizon: How can we create a CAD tool for genetic design that will scale to the size of a complete organism, like yeast, with over 12 million base pairs? To the massive scale of the human genome, which clocks in at over 3.2 billion base pairs of DNA? People working in genetic design commonly alter the DNA of an existing organism to achieve a specific outcome. Whether they are introducing a mutation, deleting something, or introducing DNA from another source, they always start by describing what they intend to do at a high level. 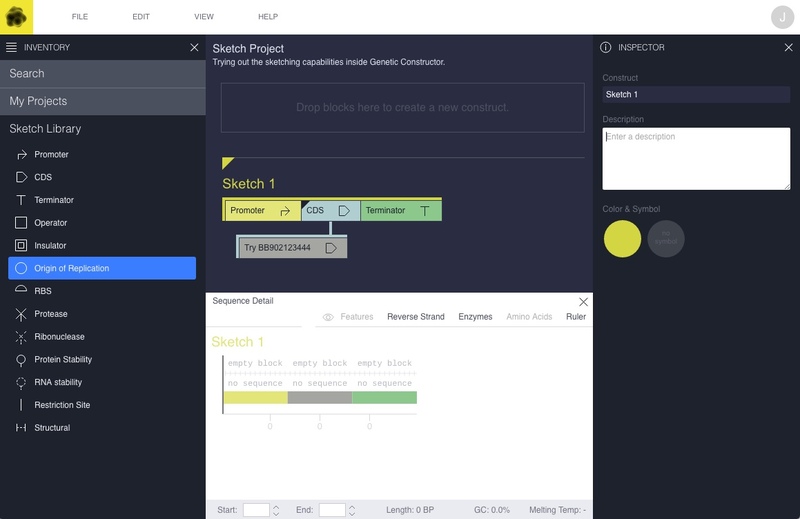 We call this a “sketch.” Unlike all other tools, Genetic Constructor allows you to begin a design by sketching it, and then adding the genetic sequence data later, if at all. We acknowledge the need for sequence, but design problem solving at the organism scale requires conceptual design tools. People are highly visual - almost all of us make sense of the world primarily through visual perception. Even though genetic designers are working at a physical scale impossible to see, the information space they must navigate is vast. 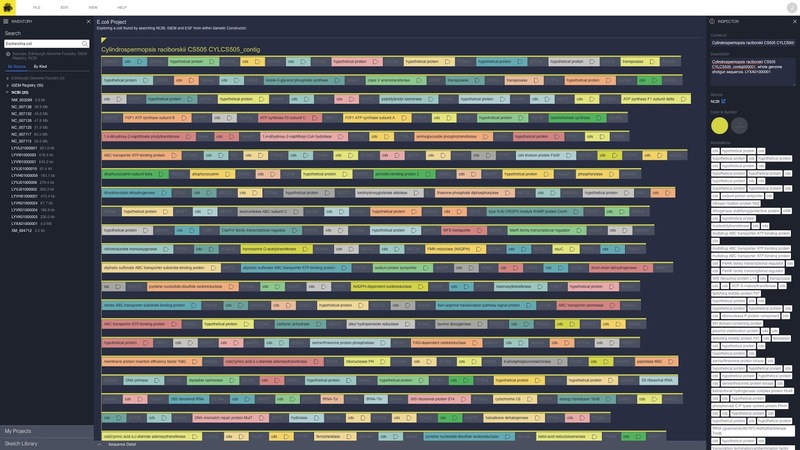 Genetic Constructor allows them to use color, form, and pattern to understand very large genetic sequences visually, and to communicate their design intent to others with a visual richness that is beautiful and meaningful. People have a limited capacity to manage complex systems directly. The DNA sequence for a complex organism is like a binary executable — highly efficient at run time, but brutally complicated for people to interact with. Modern coding environments (and almost all traditional CAD tools in use today), rely heavily on the ability to construct, manage, and navigate hierarchies of structure in order to manage complexity. Genetic Constructor gives researchers superior tools for organizing and working with the large data structures required to design living things. Genetic design is, and will continue to be, grounded in the real-world process of assembling and testing actual, physical DNA, and the living systems that can result. * The field is going through an explosive change in scale enabled by lab automation — robotics and machine learning — making it possible to more rapidly carry out many more experiments, and with more accuracy and reproducibility than ever before. 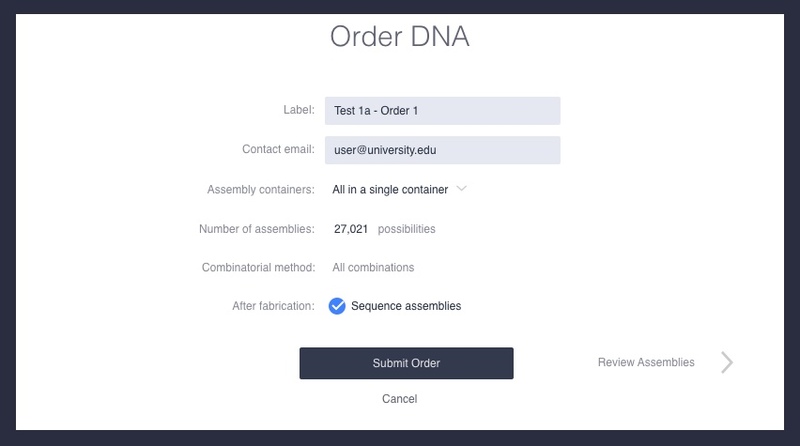 Genetic Constructor is poised to help geneticists iteratively design, build, test, and analyze results at a rate that is compatible with the ever-increasing efficiency of lab automation. Genetic designers will systematically order and track large combinatorial libraries through multiple generations of an experiment. *Unlike designing products at the macro scale where computationally-intensive simulations and the manifold variations they enable drive the generative design features de rigueur in the latest CAD tools, accurately simulating the dynamics of living things in silico is much farther off. The most creative people in the world are makers — tinkerers, hackers, DIYers, call them what you will—the age of ubiquitous extensible computing is here to stay. By creating Genetic Constructor on a completely open source foundation, and architecting it with extensibility as a first principle, we are anticipating what is perhaps the most fundamentally “Autodesk” feature of all — an open CAD platform that welcomes the community to participate. People working in genetic design are often engaged in high risk, open-ended exploration, without foreknowledge of a successful outcome. The expense of manufacturing and testing DNA is already a significant hurdle to doing this work. Autodesk is developing Genetic Constructor as a completely free, professional CAD software platform. Opportunities to monetize may emerge from future partnerships with fabs and foundries, a vibrant marketplace of third party plugins and content libraries, and from premium features required by well-funded institutional or enterprise customers. 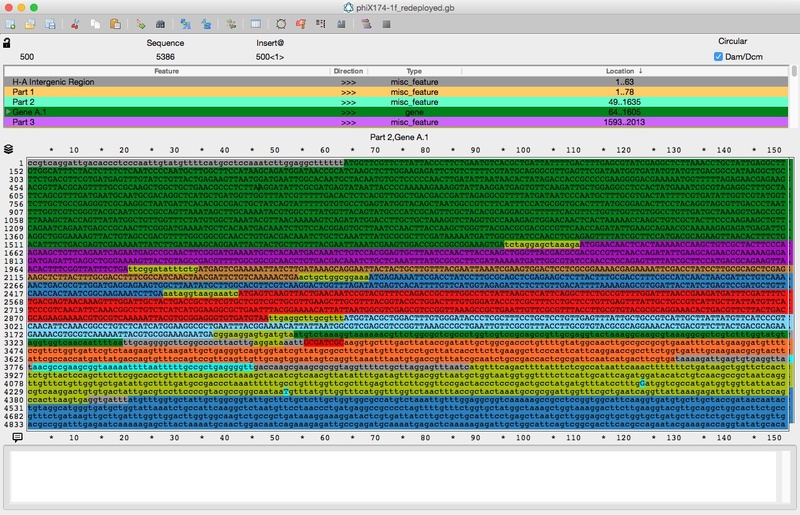 The core functionality of Genetic Constructor is free. 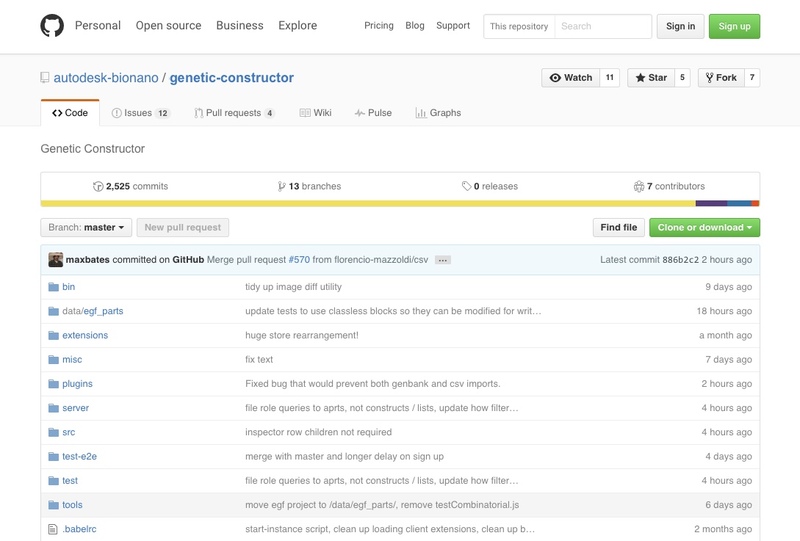 Genetic Constructor is just one of the exciting and challenging projects we’re building in the BioNano group at Autodesk Research. Even now, as the first coherent set of features is pushing through the surface layer, small hints of the principles described above can be found. This summer practicing scientists will begin using the software and the next chapter in our journey will begin. To design and manufacture living things will require that we constantly re-examine everything we think we know about design.